Ship a Car, Bus or Truck to Israel Today! Not only is Israel a country of vast natural beauty, it is also a top destination for USA exports. Are you interested in shipping a car, bus or truck to the port of Ashdod or Haifa, Israel from the US? Unsure of the best way to ship a car to Israel from America? With over 20 years of experience shipping cars, trucks and buses all over the world, we can provide you with some of the best international car shipping service to Israel! If you are looking to ship a car to Israel from the United States the most affordable option is roll-on /roll-off (ro/ro) international shipping service. Ro/Ro international car shipping service from the United States is available to the port of Ashdod in Israel. During ro/ro transport the car is driven onto the vessel and secured inside, it is not sitting outside on the deck of the ship exposed to the elements. We can offer very affordable overseas car shipping prices to Ashdod from the east coast of the United States including ports in New York, Baltimore and Virginia. If you are looking to ship more than 1 car to Israel, we can offer container service. We can load anywhere from 1-4 cars in a container and ship it to the ports of Ashdod or Haifa, Israel from the United States. Container shipping service is available from most major USA ports including ports on the east and west coast. -When shipping a car using ro/ro service to Israel, you cannot load any personal items inside the vehicle. The vehicle cannot be used as a shipping container. Vehicles that arrive at the port for export with personal items loaded inside will be rejected by the terminal. -Ro/Ro service is a safe and affordable option for all types of cars including luxury cars. In addition to sending cars using ro/ro service, we can also ship trucks and buses to Israel using ro/ro service! If you need assistance shipping RV’s, campers, trailers, 5th wheel trailers, Mack trucks, Freightliner trucks, dump trucks, buses and other types of motor vehicles to Israel, we can provide you with some of the best international shipping prices up to the port of Ashdod! International container service is available to Haifa and Ashdod, Israel from the United States. You can ship vehicles, personal household items, and general cargo in containers to Israel. To receive bus, truck, container and car shipping quotes from the United States to Ashdod or Haifa, Israel contact us today! Send an email to sales@kinternational.com or give us a call at 212-267-6400 to receive some of the best international car shipping rates to Israel from the USA. Located overseas in Israel and need someone in America to help you ship a car? Contact us on Skype at kinternationalny to begin shipping your car to Israel today! 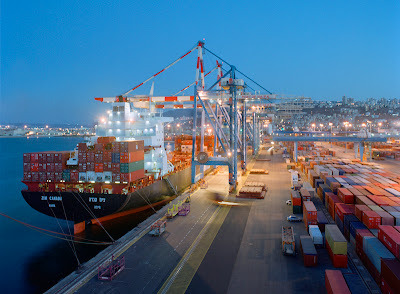 We provide some of the best, most professional and affordable international shipping service to Ashdod and Haifa, Israel – contact us today for our international shipping prices to Israel!